When my daughter was born, I bought a bunch of Disney’s The Lion King stuff for her, including a diaper bag. It had a leafy jungle print background and an appliqué of Simba on the front. It was cute, and it was obviously for the baby I was toting around. I never gave the cutesy design a second thought. Years later, I realized, while looking for news items to write about for The Gadgeteer, that some people want plain, utilitarian bags for their kid’s stuff. I asked my husband if that cutesy bag had bothered him, but he said he never gave it a second thought, either. It was Rachel’s bag, and he was just carrying it for her because she was too small to carry it herself. While searching for news items a couple years ago, I found a variety of gray or neutral bags for people who didn’t like carrying colorful baby bags, but I did notice that most of them, while plain and neutral, still looked more like a lady’s tote bag than a unisex bag. 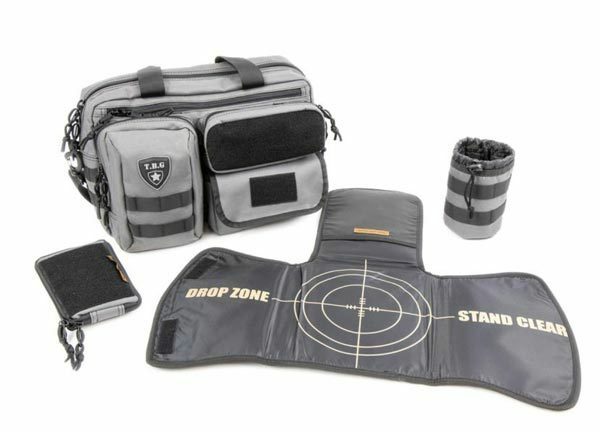 I just found some diaper bags by a company called Tactical Baby Gear that might look more at home loaded up with gear for a military campaign than they would being loaded up with bottles and diapers for a day out with the kids. TBG Deuce 2.0 (yeah, I noticed the name, too) Tactical Diaper Bag, as described by the creator himself, “marries a typical diaper bag with rows of MOLLE webbing. This webbing allows for complete customization, as dads can swap out tactical pouches, bottle pouches, baby blowout pouches, and the top-selling “dump pouch,” which is designed for exactly what you think.” They have the Deuce 2.0 bag (shown above), backpacks, changing pads, baby carriers, and accessories in black, coyote brown (shown), gray, and black camouflage. Prices start at $80.00 for the Deuce 2.0. Learn more and purchase your gear at Tactical Baby Gear.